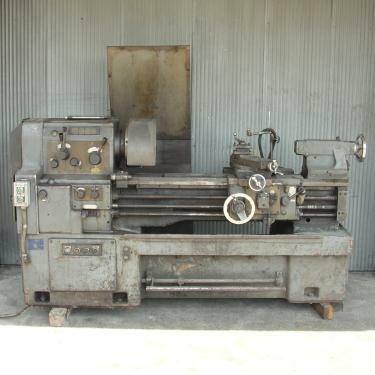 Webb 17Gx40 lathe. 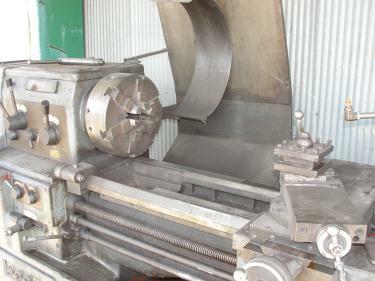 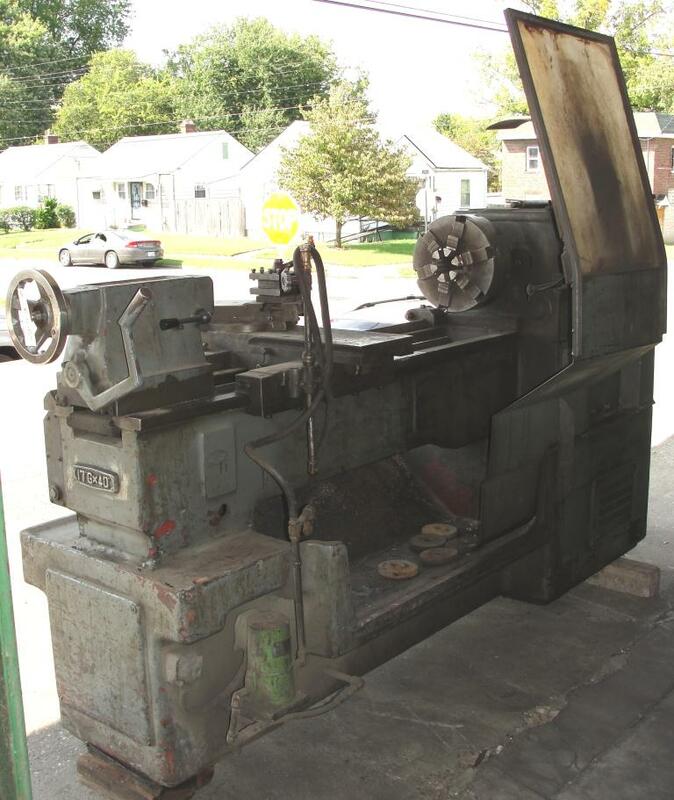 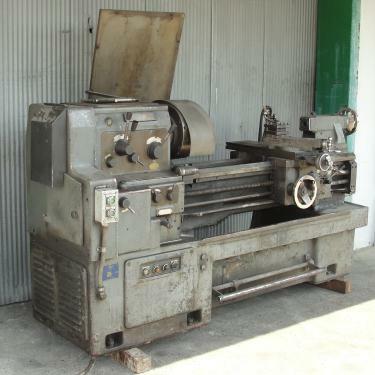 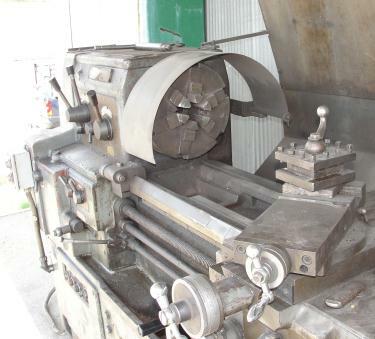 This gap bed engine lathe has a 40" bed and a 17" swing, 25" with the gap removed. Spindle bore is 2-1/16" with a spindle speed of 32-1800 RPM. 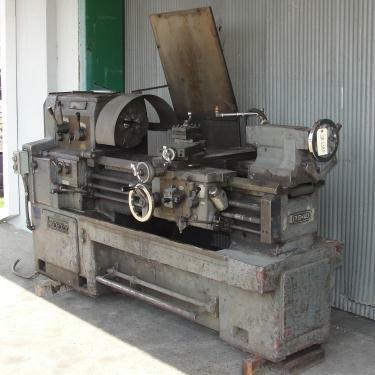 Equipped with 5 HP, 220-440 VAC motor. 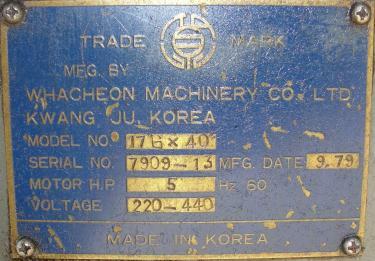 Manufactured date of 9/79 by Whacheon Machinery. Includes a 6-jaw self-centering chuck, tool post, foot brake, and coolant system, but no tooling. 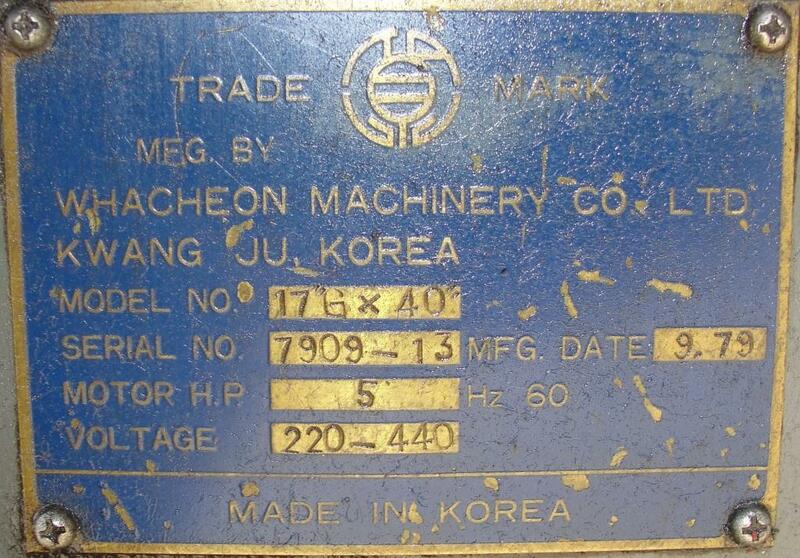 Ways appear to be in good condition.